Many of the attorneys we coach rely too heavily on “entertainment” as their primary business development activity. 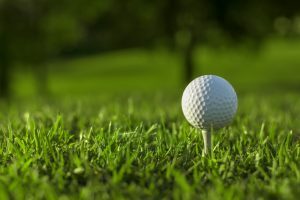 While sharing a meal, playing golf or attending an event together can be a very effective way to strengthen client relationships, random acts of entertainment will not result in business development success. Many clients bemoan any additional invitations that require spending time away from their families, interests and other responsibilities. Instead, clients appreciate thoughtful, intentional and customized entertainment experiences. Before you plan your marketing and business development budget for next year, make sure entertainment is an investment rather than merely an expense. Know and comply with your clients’ entertainment policies. Informal meals are a great way to learn more about your clients’ needs and interests, and casual conversations can offer the most insight to help forge an authentic relationship. If you are planning a larger social event, be sure to strategically think about the guest list, seating arrangements, connections to make and pre- and post-event communications. Clients love connecting with other firm clients with whom they share common interests, challenges and roles. Also, what other attorneys in the firm should attendees meet? What are your clients’ personal interests or hobbies? Clients often feel obligated to accept invitations to events even when the events don’t align with their interests. Instead of assuming, ask them what they enjoy doing and how they feel about entertainment. Create opportunities that will be memorable versus obligatory. Supporting clients’ community and charitable causes can help demonstrate the firm’s commitment to the client and shared values. Would the client appreciate family-friendly activities to avoid more time away from their kids? Prepare. Have a plan for your time together and make sure you are up to date on current news and work with the client. Have a goal for every interaction and a next step to advance the relationship. Remember that sometimes clients really don’t want or need to be entertained and prefer to build relationships with outside counsel via work-related interactions. By offering random acts of entertainment that don’t take client preferences into consideration, you run the risk of damaging your client relationships. Instead, be thoughtful and personal to develop business and strengthen relationships.